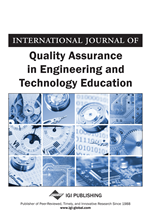 Engineering departments may face a formidable task in conducting effective accreditation reviews of their programs and ensuring that their outcomes meet the demands of the accrediting organisation. Not least of these tasks is walking the political tightrope of academic staff engagement in environments that reward research over and above educational tasks. This is exacerbated if and when existing programs, when reviewed for accreditation, demand a considerable expenditure of time and energy to ensure they at least meet current, let alone future, graduate attributes and standards. This paper confronts the generally ignored ‘elephant in the room’ of accreditation, namely the politics of accreditation reviews in institutional environments that are increasingly pre-occupied with research. The essential point of this paper is this; accreditation involves the whole-of-program engagement of academics with divergent curricular and pedagogic interests, let alone perspectives and work priorities. Therefore, accreditation reviews are much more likely to be successful when they are approached from a soft systems methodology perspective. The engineering profession is embedded in highly dynamic global socio-economic and technical environments that demand vigilant attention to current and emerging technologies and practices (National Academy of Engineering, 2005). To achieve and maintain the requisite standards, professional accreditation bodies and government sponsored quality assurance organizations increasingly subject higher education institutions to quality audits in learning and teaching. Two Australian examples are Engineers Australia and the Tertiary Education Quality and Standards Agency (TEQSA) respectively (TEQSA replaces the Australian Universities Quality Agency - AUQA). Add to this mix a highly competitive global higher education environment which prizes research and its associated funding, and we are caught up in a cauldron of complex, competing stakeholder demands and interests. The proliferation of professional and government oversight of higher education programs signals increasing public accountability in which quality reviews of undergraduate programs are no longer the automatic ‘box-ticking’ exercises that uncritically entrench existing practices, as once they might have been. In this context, the term ‘program’ refers to a course of study leading to the award of a tertiary qualification. In this paper we propose to highlight the socio-political nature of the accreditation process in which concerns around continuous quality improvement touch the institutional and personal nerves of its stakeholders. An accreditation process demands that academics used to being ‘owners’ of their individual courses taught in the privacy of lecture halls are now asked to be more transparent about what and how they teach. In addition to peer scrutiny both from within and without, it also means that they are asked to conform to professional and institutional expectations, and therefore, most likely, to change aspects of their curriculum and/or teaching in order to meet current as well as future developments in the field. The essential thesis of this paper is this; given the inevitability of different stakeholders having different perceptions about a review, any accreditation review process is best approached from a soft systems perspective. This is because soft systems thinking of which Soft Systems Methodology (SSM) is a particular example, lends itself particularly well to dealing with situations in which stakeholders lack common agreement about a complex situation, such as in this case, a review process with its contested values, methodological possibilities, resource allocations, and activity boundaries (Midgley, 2000). We define a Soft Systems Methodology (SSM) as a systematic approach to organizational process modeling useful for both general problem solving and change management (Checkland, 1981). This is because reviews call for a convergence of divergent stakeholder perspectives around curricular, pedagogic, and administrative practices and their outcomes. Therefore the achievement of sustainable program quality as required by professional associations demands institutional review strategies that are cognizant of the socio-political nature of the review process. At this point it is important to clarify that by ‘politics’ we refer to the ways in which social relations are shaped and managed usually between people and/or groups with different interests and whose ability and/or power to influence decision-making and allocate resources vary considerably (Eijkman et al., 2009).